When I started Hooked Up Bait Co., I was fishing with a friend who was using “Turbo Tail Tubes”. He was catching a lot of fish and most of them were real big. The smallies just couldn’t resist their taste and scent. 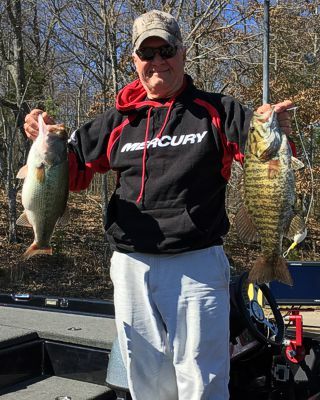 Through my personnel use of these tubes I was convinced that it is exactly what my friends were saying “A great action tube that catches fish.” After Terry Baksay (2 Time Bassmasters Classic Qualifier) tested out the tubes and said, “Send me all your colors” that’s when I decided to promote a great quality tube. To our friends and all the dedicated fishermen who tried the tubes and came back saying “Awesome” we are truly grateful.